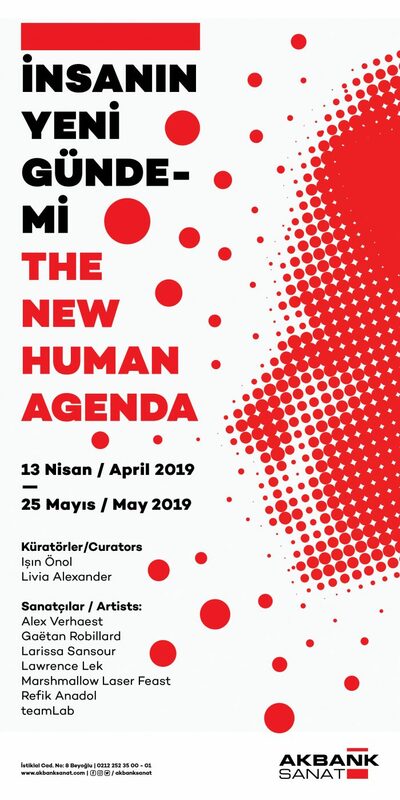 The New Human Agenda reflects upon living conditions and politics of co-existence in our time, not only among humans, but also in our relation to other organisms and ecosystems, creating a playful discursive podium to interrogate prevailing power mechanisms. As natural habitats are translated into digital landscapes, we gain new perspectives of the animal in the forest, the micro-organism populating our world, pushing the frontiers of humans outwards to space and inwards into our bodies. The works in this exhibition explore how our human mind copes with, and influences, these shifting social and natural food-chains in the quest for understanding and battling some of the obvious failures of humanity building stable social structures and establishing enduring modes of co-existence with the global environment. The exhibition title is borrowed from Yuval Noah Harari’s inspiring book, “Homo Deus: A Brief History of Tomorrow”, who dares to engage in well-informed speculations about the possible futures of humanity, and poses the central question, “What will humanity strive for?” The new human agenda in this context not only refers to struggles for dominance in the global political arena, but also asks how digital art technologies and computer-enabled platforms for human behavior (such as social media and computer games) can be used to twist the prevailing power mechanisms. To what extent can these technologies be employed for a cultural, economic, and ecological change in the era of the so-called “Anthropocene”? How can artistic and scientific research be mobilized for such change? And, most importantly, how do we cope with the toxic side-effects and enormous potential for abuse that great, potent technologies bring along?